Albert Park, Melbourne by Ewan Tytler, U.S.A. The winter testing is over and with it the waiting - the 52nd Grand Prix season starts this weekend at Albert Park, Melbourne, Australia. Sunday's Qantas Australian Grand Prix is only the 6th Grand Prix to be held at Melbourne. This 5.303 Km street circuit is set out around Albert Park Lake and is quite fast. Melbourne is enjoyed by most drivers but it is not generally regarded as a track that really tests driving skill. Sauber driver Nick Heidfeld explains: "Despite being a street circuit it is very much like a normal road course. I like it because there are not too many quick corners and the track is not too technical. This is what a driver and team need in their first Grand Prix of the new season, to assess accurately the performance of the car the rest of the year." Albert Park, however, tests the technical skills of the teams. Willy Rampf, Technical Director of the Sauber team, describes the Melbourne circuit as "flat and, in places, very fast. On the pit straight and again on the back stretch between the Waite and Ascari corners, drivers reach 180 mph. This places a premium on aerodynamic performance at high speed. At the same time, however, they must also brake very hard for the ensuing corners, and this places great strain on the brakes." Bridgestone's new technical manager, Hisao Suganuma, added: "Albert Park is a slippery track and it's easy to get a lot of understeer there. Because part of the track is normal roads, certainly for Friday practice it will be dusty, which is bad for grip, and also a higher ambient temperature can give less grip. From a tyre point of view it's not an easy track. However, I'm confident that our tyres will cope well with the conditions. We are continuing our development work all the time and everyone is working together towards one goal. With this philosophy we expect to see good results in Australia." Last year, Bridgestone supplied the teams with the Soft and Medium spec tyres. Sunday will be the first round of the latest tyre war since Michelin has returned to Formula One after a 17 year absence. Michelin's motor sport director Pierre Dupasquier confessed, "We can only assimilate a certain amount of knowledge before the first race and we face some very serious and experienced competition. There remains a huge hill to climb." Michelin have started 107 Grand Prix and have recorded 59 wins, 57 pole positions and 59 fastest laps. Bridgestone have entered 68 Grand Prix and have recorded 42 wins, 46 pole positions and 43 fastest laps. Despite the new aerodynamic restrictions, lap records have been falling during winter testing, largely due to improved tyre compounds. Pit-stop strategies will be critical as there are few overtaking points. In last year's race, 7 of the 9 finishers were on a one-stop strategy, while Ferrari's Rubens Barrichello and Minardi's Marc Gene both had 2 stops. Those on a one-stop pitted between laps 30 and 38. Moreover, there has been a high rate of attrition at Melbourne. Eleven were classified in 1996; 10 in 1997; 9 in 1998 and 2000; and only 8 drivers finished in 1999. Ferrari ended the 2000 season with both a performance and tactical advantage and want to keep the momentum going into the 2001 season. The Ferrari F1-2000 with the new 050 engine seemed to be fast and relatively reliable in winter testing. Ferrari has been the most successful team at Melbourne, scoring a total of 39 points. Michael Schumacher could match most of Alain Prost's career achievements this season. Prost scored one more pole position, 7 more victories, one more drivers' championship and an astounding 120.5 points more than Schumacher. Michael Schumacher won last year's Australian Grand Prix and finished 2nd in 1997. Michael has set 32 pole positions in his career, but he has never set pole position at Melbourne, consistently qualifying 3rd in the past four Australian Grands Prix. 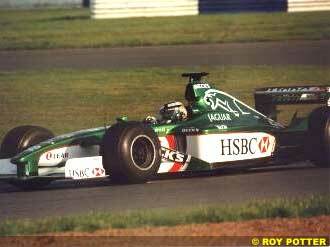 Michael also set fastest lap in 1999. Rubens Barrichello finished 2nd in last year's race for Ferrari, setting the fastest lap in the process, and he finishing 5th for Stewart-Ford in 1999. Barrichello qualified 4th in both 1999 and 2000. McLaren-Mercedes aim to improve their race strategies by promoting race engineer Pat Fry to a tactical coordinating role. The McLaren MP4/16, with its K-type Ilmor-Mercedes engine, has been consistently fast during pre-season testing but has had a worrying number of failures. McLaren have scored 32 points at Melbourne. And, this year's race will be the 100th Grand Prix for Mercedes-Benz with McLaren. Mika Hakkinen confessed: "We have had far too many problems and that doesn't make me optimistic for Melbourne. I have complete confidence in McLaren and I know that the car will enable me to fight for the title. Even if I lose points to Ferrari in Melbourne, it won't be a problem." Hakkinen won the 1998 race after setting pole position and the fastest lap. He finished third in 1997 and fifth in 1996. Over the past two years, Hakkinen has set pole position, but retired after leading. David Coulthard commented about the importance of the Australian Grand Prix, saying: "Every race there are only 10 points for winning, but it is important to get a bit of momentum. Even if you don't win the race, although obviously that's the goal, you've got the first step on the ladder. Look at last year - in Melbourne we didn't finish, and then in Brazil I got disqualified. So straight away you're potentially 20 points down on whoever won those races. You've got to score in every race - that's got to be your goal." 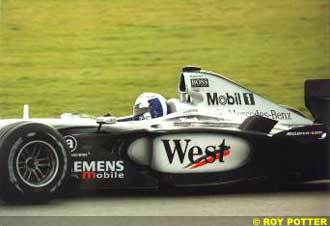 Coulthard won at Melbourne in 1997 and ceded victory to Mika Hakkinen in 1998. He qualified 2nd in the past three Australian Grand Prix. BMW.WilliamsF1 Team Principal Sir Frank Williams stated: "Our aim for the coming season is to close the gap with Ferrari and McLaren-Mercedes. But we must also take into consideration that there are more teams getting better and making their GP cars really work well." BMW Motorsport Director, Dr. Mario Theissen revealed: "We started already in January 2000 with the development of the P80 [engine]. It's a completely new V10, which is smaller, lighter and should be also stronger than the E41-4. As BMW has considerably enlarged the self-production factory with the new F1-foundry in Landshut and the new F1-parts production department in Munich, the P80 is a new step also in consideration of the synergy effects with the road car production. From December until the end of January the BMW WilliamsF1 Team has been testing every week with three cars in one of which there was always a new engine. In total, from the beginning of December until Melbourne the team has achieved 15.000 km of testing, which makes us feel good. We are better prepared than at the start of the 2000 season. This doesn't mean that we will do even better but that we are less nervous!" Williams's newcomer Juan Pablo Montoya added: "The BMW WilliamsF1 Team has worked relentlessly in an effort to be well-placed this season to close the points gap against the front runners. We have also worked closely with Michelin and their performance gets better each time, albeit with development in progress. We must also respect the fact that 2001 marks BMW's second season with WilliamsF1 and therefore people must not get too carried away with hopes and expectations. This team is currently at the crest of a wave and while we may not be contesting for the championship this season, we will certainly be aiming to take some spoils away from Ferrari and McLaren - that's the plan anyway." Williams has scored 30 points at Melbourne, with Damon Hill winning in 1996. Williams also set pole position and fastest laps in 1996 and 1997. Ralf Schumacher stated: "I feel good travelling to Australia because of our ever-improving form. We are off to Melbourne with extensive data about the FW23 from the winter testing sessions. It is, however, difficult to give a prognosis about our position among the other teams because they have been testing on different tracks during the winter." Ralf finished third in 1999 and 2000, but he has not excelled in qualifying - his highest grid position was 8th in 1999. Benetton were still reorganising at the end of last season. The Benetton B201 with its new 111° V10 Renault engine appears to be neither competitive nor reliable during winter testing. Benetton have scored 11 points at Melbourne. Giancarlo Fisichella has finished 4th in 1999 and 5th in 2000 at Melbourne, while his highest qualification was 7th in 1998 and 1999. In last year's race Jenson Button did not finish after qualifying 21st. BAR have scored 4 points at Melbourne, with Jacques Villeneuve finishing 4th and Ricardo Zonta being classified 6th in last year's race. BAR's Olivier Panis commented, "I am very pleased with what I have found here [at BAR]. It has gone really well so far and that leaves me very confident for the season ahead." 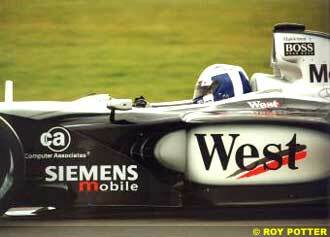 Panis finished 5th in 1997 for Prost, and his highest grid position was 9th, also in 1997. Jacques Villeneuve holds the qualifying lap record of 1:29.369 at Melbourne, setting pole position in 1996 and 1997 and he also set fastest race lap in 1996. He should have won his debut race in 1996 but had to slow due to engine problems. 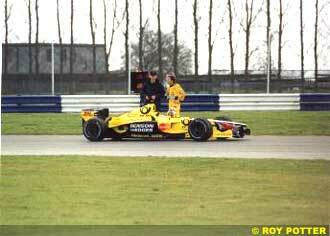 Villeneuve finish 4th in 2000 and 5th in 1998 but did not finish in 1997 and 1999. If the BAR 003 is competitive he could make a very good showing at Melbourne. Jordan's Team Principal, Eddie Jordan, commented: "Ferrari and McLaren will be the teams to beat and Jordan hope to be up there in that Championship fight, where the competition will no doubt be closer than ever." Jordan added, "Honda has an unrivalled success in Formula One, and we have been given the awesome responsibility of adding to that record. We know that the season ahead will be challenging, but with our partnership with Honda, the focus will be on racing and performance and we are determined to achieve positive results and win races." Managing Director, Trevor Foster explained Jordan's preparations for the 2001 season: "This year, our efforts have been to design a car that behaves in a more consistent manner and concentrate on improved reliability. Early signs during pre-season testing have proved both of these elements to be achieved, giving the whole workforce a boost during a very busy period." And, Head of Engineering Tim Holloway, revealed: "The EJ11 has been designed to extract maximum performance given this year's new regulations, whilst ensuring the best possible reliability and realising our desire to optimise the performance of Honda's new evolution engine." Jordan also announced that "Both Heinz-Harald Frentzen and Jarno Trulli will now have two engineers in their car crews, allowing greater assimilation and analysis of data." The Jordan team have scored 6 points at Melbourne. In last year's race, neither Jordan cars finished. 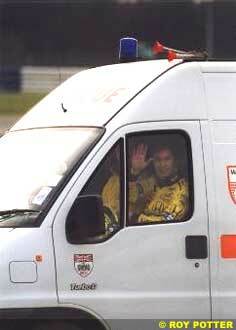 Before leaving Europe, Heinz-Harald Frentzen commented: "I am looking forward to going to Australia. It's a great country with a wonderful atmosphere and I'm particularly excited about racing again and being back in action after the winter break. We have had some good results in pre-season testing so I think we can do well in Melbourne as it's an important race and my aim is to get points." Frentzen finished second in 1999 for Jordan and third in 1998 for Williams and holds the race lap record of 1:30.585, which he set in 1997. His highest qualification was second, also in 1997. Jarno Trulli remarked: "We are really looking forward to the early races. Being in the car in hot conditions for the duration of the race will certainly be testing after the winter break. We have seen that our car looks competitive, and I feel ready and am looking forward to the season ahead. I have not set myself any goals for this year though as I have done so in the past and it doesn't always work out, so this year there are no targets in my mind, just the aim to get out there and race." 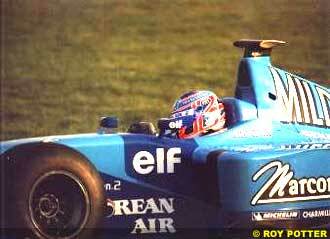 Trulli's best finish was 9th in 1997 for Prost, and his highest qualification was 6th in 2000. Arrows will be using the Asiatech-powered A22 at Melbourne. Arrows have taken a gamble using the Asiatech engine, which is based on the light - but technically flawed - Peugeot A20 engine. Team Principal, Tom Walkinshaw declared, "I think I'm speaking for everyone at Arrows when I say that we want to keep progressing and do better than we did last year. We've had a heavy testing schedule over the winter break and the team has been working very hard to get the best out of the new car. We had a positive year in 2000 so we hope to continue our upward trend in 2001. We've got a good driver line-up with Jos and Enrique; the experience of Jos and the sound background and youth of Enrique who we believe will develop throughout the season. Our pace was good in Melbourne last year so we are hoping for a good race." 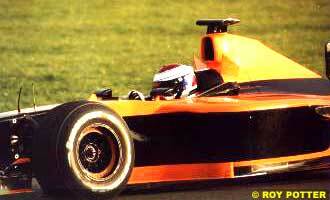 Arrows have scored one point at Melbourne when Pedro de la Rosa finish 6th in 1999. In last year's race, neither Arrows were classified as finishers. Jos Verstappen confessed, "I'm looking forward to the new season. After going round and round in winter testing, it's always good to get out there and compete against the other teams. I like the track at Albert Park as there are lots of overtaking opportunities and some good, challenging corners. I like the country too but the flight is always too long! I had a good year with Arrows in 2000 and was able to race against the big teams many times. We made progress throughout the season and I got some good results, especially in Italy and Canada so let's hope I can do it again this year!" Verstappen has yet to finish in four starts at Melbourne. His highest qualification was 12th in 1996 with Footwork. Enrique Bernoldi, a 22 year old Brazilian novice, stated: "This is a brand new experience for me in many ways. Although I am now quite at home in a Formula One car, I have some new circuits to learn. I've never even been to Australia, let alone raced at Albert Park! I have been studying the data we have on the circuit so I have an idea of the track but the practice sessions on Friday will be very important for me. I'm ready for the challenge though. I've put in a lot of miles in the winter testing. I'm fitter than I've ever been and I'm raring to go." Sauber's Technical director Willy Rampf revealed: "We have completed more testing in the off-season than at any time in our history. Even before Christmas, Nick Heidfeld covered 1630 km in the C19, and Kimi Raikkonen 1161. Since January, their respective figures in the new C20 are 3010 and 2765 km. That's more than 8000 km. We believe, therefore, that we are well prepared for this very important first race of the new season." The Ferrari-powered Sauber C20 has been quite fast in pre-season testing. Sauber have scored two points at Melbourne, with sixth place finishes for Nicola Larini in 1997 and Johnny Herbert 1998. In last year's race, Mika Salo's Sauber finished 6th but it was subsequently disqualified for using an illegal 1999-spec nose. Nick Heidfeld commented: "The first Grand Prix of the season is always very special to a driver. This year it even has more importance for me because it is going to be my first Grand Prix with the Red Bull Sauber Petronas C20, on my second visit to this street circuit." 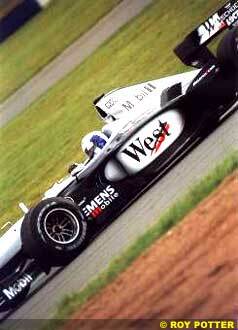 Heidfeld finished 9th in his Formula One debut at Albert Park, after qualifying 15th for Prost. Kimi Raikkonen will make his Formula One debut on Sunday. Raikkonen confessed, "I am really looking forward to getting my Grand Prix racing career off the ground! I have never flown for more than four hours before in my life, so I have been leaving for Melbourne early. That will give me plenty of time to get over jet lag, to acclimatise to the time zone and to have a bit of a break and see some of the sights. Our physiotherapist, Josef Leberer, has also devised a program to help me through. "My first Grand Prix is going to be a big challenge, but I'm ready and I'm looking forward to it. Jacky Eeckelaert and the engineers back in the Hinwil factory have given me advise on the course, but a map of a track is still just that; I can't wait to see it from the wheel of the Red Bull Sauber Petronas C20 for my first experience of it. It's been my life's dream to become an F1 driver, and I will be going to Australia determined to do my very best for Team Red Bull Sauber Petronas." Raikkonen has been impressive during winter testing. Since Raikkonen is effectively on probation due to his lack of experience, he is likely to run a clean race, keep out of trouble and hopefully finish. 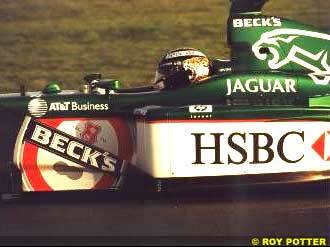 Jaguar scored two points at Melbourne in 1999 as Stewart-Ford. New Team Principal Bobby Rahal's declared, "Now it is time to stop talking and go racing. I have said before that I consider this to be the first true year of racing for Jaguar and we are a very young team. We still have a lot of work to do this year but our aim is to be in a position to take advantage of any situation and to show a steady improvement as we progress through the year. Reliability is fundamental in this respect." Both Jaguars retired in last year's race and both Stewart-Fords retired in 1997 and 1998. Eddie Irvine said: "I like the Melbourne track, which has a good mix of fast and medium speed corners and the atmosphere is always buzzing. There have been a lot of changes to our team line-up and now we'll see how well it all comes together. The winter test period has involved a lot of work on everybody's part and contrary to recent media speculation, my commitment and focus towards racing with this team remains high. Bobby Rahal hasn't stopped for a second since he joined, and the team's relentless approach towards getting it right is all the motivation I need right now." Irvine won his first Grand Prix victory in the 1999 Australian Grand Prix for Ferrari. In 1998, Irvine finished fourth but in 1996 he finished 3rd after also qualifying 3rd, ahead of Michael Schumacher. Luciano Burti stated, "Naturally I'm excited. I shall arrive in Melbourne early in an effort to get acclimatised and familiar with the environment. I have studied telemetry and on-board footage to help strengthen my understanding of Albert Park, but the real understanding will come from the Friday free practice session. It's impossible to make any predications, but the R2 certainly feels a lot better than last year's car and our hard work over the winter will now be put to the test." European-Minardi arrived at Melbourne with only two PS01 chassis and no spare car. During last season, the 107% qualifying rule was not an issue - let us hope that Minardi do not fall foul of this rule at Melbourne and that we see a full grid of 22 cars. Minardi has yet to score a point at Melbourne. In last year's race, Marc Gene's Minardi finished 8th. Brazilian Tarso Marques returns to Minardi after a 3 year hiatus. Marques commented, "I am very pleased to be returning to Formula One, particularly as it is with European Minardi. I know many people here from my races with the team in 1996 and 1997, so it is a little like coming home. At the same time, there is also a different feeling at the factory since the team now has a new owner in Paul Stoddart. There is a lot happening and it all seems very exciting, so I think it is a good place to be. I am really looking forward to driving in the world championship again and helping the team to be as competitive as possible." Sunday's race will be Marques's 13th Grand Prix entry. Marques has yet to score a point in Formula One - his best result being 10th in the 1997 British Grand Prix, while his highest grid position was 14th at the 1996 Argentinean Grand Prix. Marques has not raced at Albert Park. Spaniard Fernando Alonso is making his Formula One debut. At the tender age of 19, he is the youngest driver of the field. Prost have found a new sponsor, the computer manufacturer Acer. 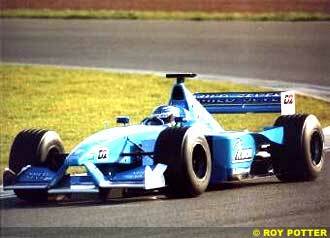 The Prost-Acer AP04, with rebadged Ferrari 049 engines, has been quite fast and reliable during pre-season testing. Team Principal Alain Prost revealed, "In the early races, when other teams will have problems with their new cars, it is necessary for our goal to be there to collect precious points. That is our aim." Prost have scored two points at Melbourne when Olivier Panis finished fifth in 1997. Jean Alesi has yet to finish a Grand Prix at Melbourne. His highest grid position was 6th in 1996 for Benetton. His new teammate, Gaston Mazzacane did not finish, after qualifying last, in his Australian Grand Prix debut with Minardi last year. If it is dry, I'm going to pick McLaren, Ferrari and BAR as the top three teams during Qualifying with BMW.Williams and Jordan making up the top 5. The Australian Grand Prix is very important tactically for teams and individual drivers to succeed at the season-opening Australian Grand Prix. The Formula One Constructor's Cup is won or lost early in the season-the winning team at Melbourne has gone on to win the title in 1996, 1998, 1999 and 2000. No single driver has dominated the Melbourne races. This year's Australian Grand Prix could be won by any driver with talent, a reliable, competitive car and a little bit of luck. Qualification is not too important at Melbourne. The pole sitter has only won once at Melbourne, in 1998. Have Ferrari held onto their performance advantage over the closed season? Can Michael Schumacher close in on Alain Prost's records? Can Rubens Barrichello get a podium finish? Have McLaren got rid of their gremlins? Will Mika Hakkinen be able to hold onto his qualifying advantage? Can David Coulthard open a serious challenge for the driver's title? Will BMW.WilliamsF1 or the Honda-powered Jordan or BAR teams be the Best-of-the-Rest? Dark horses: The Ferrari-powered Sauber-Petronas and Prost-Acer teams.